Perched at a hillock of 80 meters of altitude, Mount Mary Church is located in Bandra. 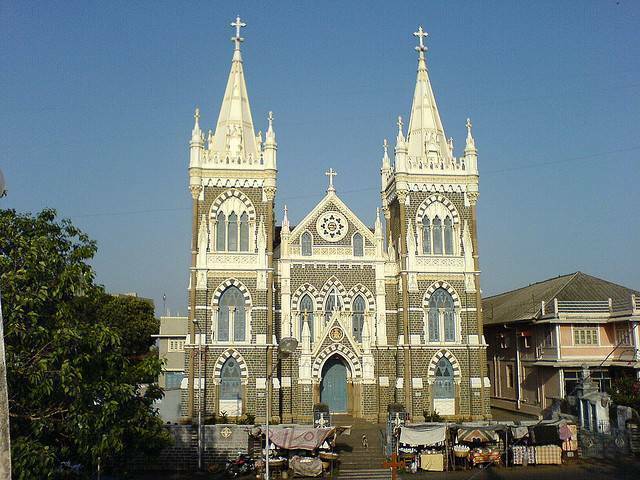 Mount Mary Church, which stands facing the Arabian Sea, attracts many devotees throughout the year. The church is 100 years old, however the statue of Virgin Mary dates back to 16th century. The Marathas destructed the church around 17th century in a raid. Also the right hand of the statue was cut off by Arab pirates in order to abduct the gilt-lined object held in that hand. However, the original statue was re-instated and is worshipped till now.